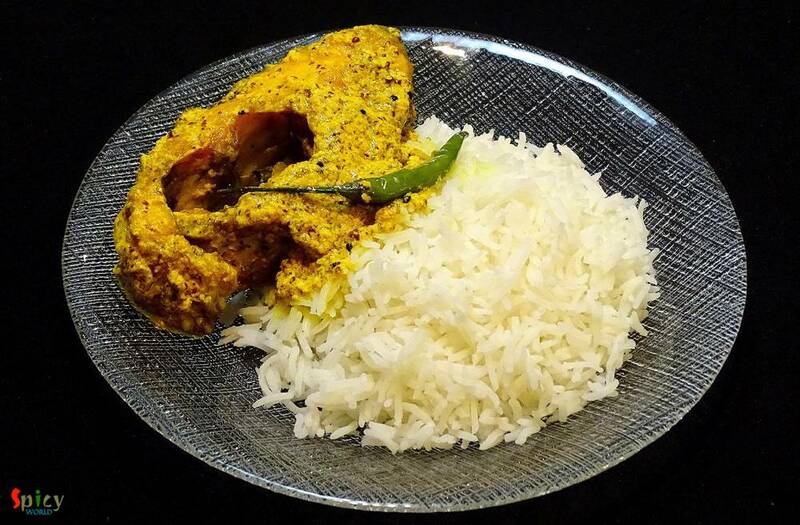 As I am Bengali, my favourite fish curry is this one. 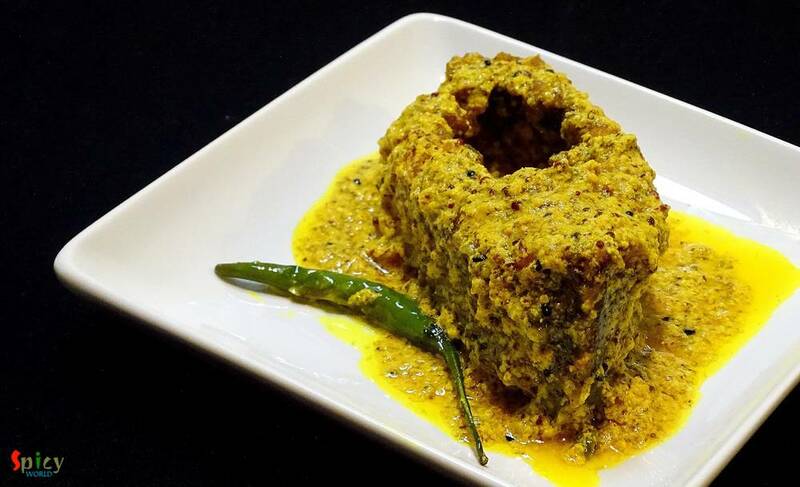 My husband is also a huge fan of fish and specially this curry. It goes best with hot plain rice. This is a very easy process and the recipe is pretty simple. Try this in your kitchen and let me know how it tastes. 2 pieces of fish (Rui / Katla / Pompano / Tilapia / Carp). 3 Teaspoons of black mustard seeds. 4 Teaspoons of yellow mustard seeds. 2 pinches of nigella seeds / Kalonji / Kalojeera. 1/2 Teaspoon of red chilli powder. 1/2 cup of hot water. Soak the black and yellow mustard seeds for 1-2 hrs. Then put those in a grinder along with 1 green chilies, half Teaspoon of salt and some water. Make a thick paste. Take 3 Teaspoons of paste in a bowl along with some salt, red chilli powder and half Teaspoon of turmeric powder. Add little water and make a runny paste. Keep it aside for later use. Wash the fish pieces thoroughly into the water. Then marinate the pieces with 1 tsp salt and 1 tsp turmeric powder for 5-10 minutes. Heat mustard oil in a pan. Fry the fish pieces from both side in the oil. Then remove them from oil. As we will make the gravy with the same oil, so, we need only 4 Teaspoons of oil. Remove the excess oil from the pan. Add nigella seeds and green chilies into the hot oil. Then add that runny mustard paste in hot oil. Saut� it for 2 minutes. Add the hot water, salt and pinch of sugar. Mix it well for a minute. Now add the fried fish pieces. Cover the pan and cook for 5 minutes in slow flame. Check the seasoning. If you want to add chopped coriander leaves, feel free to add. Turn off the heat and let it rest for 2 minutes, then serve. 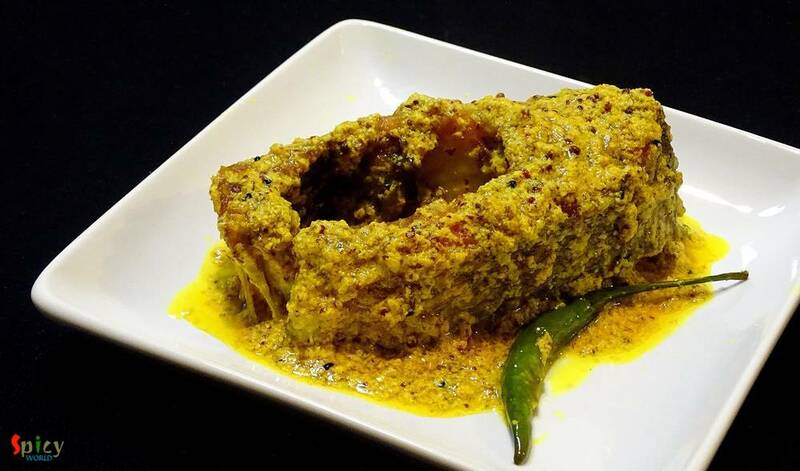 Your Fish Mustard Curry is ready.